In the first round, our team was able to defeat the Coffs Harbour Golf Club in a match hosted by Maclean Golf Club. 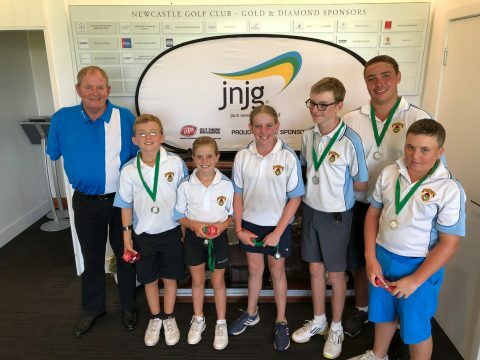 Consequently, we progressed to the NSW State Championships held at the Newcastle Golf Club in early January 2019. Our NRDGA Team were successful in the semi-final defeating Wagga Wagga Golf Club but were unfortunately defeated in the final by the defending champions Moore Park Golf Club from Metropolitan Sydney. We should be very proud of the young individuals who participate in this “match play off handicap” competition as it encourages young golfers in an exciting format of our game.